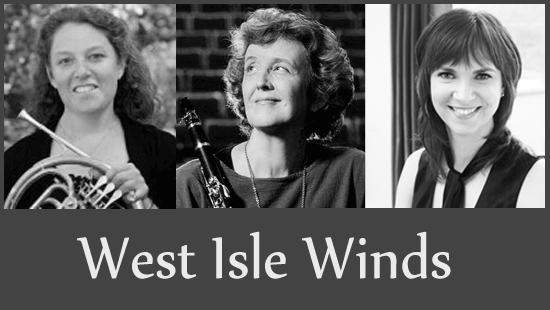 In Concert: West Isle Winds (from Nanaimo), with Heather Walker (horn), Susanne Bullock (clarinet) and Donna Falconer (piano) | Oak Bay Music: Chamber Music Concerts Victoria B.C. The Oak Bay Matinee concert series features West Isle Winds, a group of three professional classical musicians based in Nanaimo. The trio merges music for clarinet, horn and piano to present a delightful and varied program. With works by Mozart, Bizet, Strauss, de Sarasate and Reinecke.